From the way you source your product, to the manufacturer, to the shipping method, each process is separate yet dependent on each other. Having a good understanding of product sourcing is the first step in creating an exceptional brand experience for your customers. Sourcify is a B2B manufacturing platform that supports clients throughout the manufacturing side of business, including the processes before, during, and after production. After manufacturing, Sourcify can recommend logistics and distribution partners, as well as advise on sourcing, how to lower COGS and increase profit margins, and how to negotiate with suppliers. With Sourcify, you are supported along the backend and your manufacturing is simplified. Our comprehensive guide will teach you how to create and control a seamless supply chain as you get started on eCommerce. Step 1: optimize product sourcing. 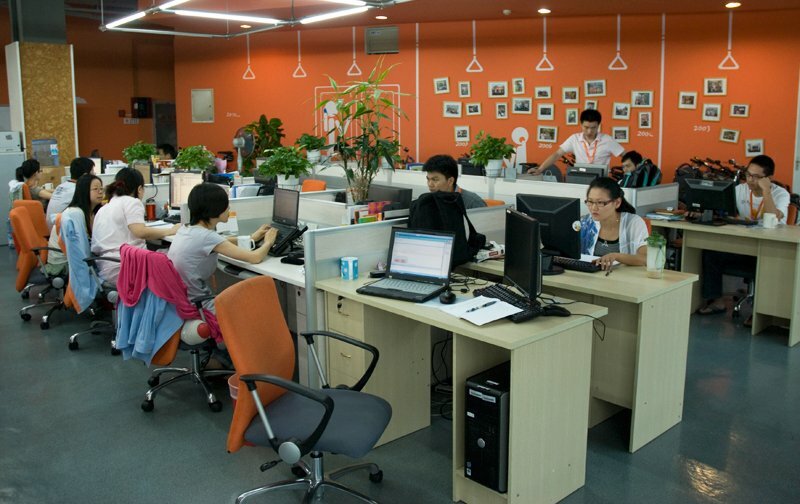 Product sourcing marketplaces like Alibaba or ThomasNet have a lengthy list of pros and cons. The reason the marketplace has that initial attraction is because it looks simple. It’s like an Amazon for sourcing. The advantages include a huge number of options and search ease. If you’re looking to source a product like sunglasses, odds are high that you’ll be able to find a manufacturer on the marketplace to produce your product. You may even be able to see some examples of previous sunglasses the manufacturer has produced for other buyers. However, these advantages can quickly become disadvantages if you don’t take care. The biggest risk you’re taking by navigating a sourcing marketplace is falling victim to scams. There are several more cons to be aware of if you start product sourcing from a marketplace. You as the buyer have very little control working with a manufacturer you find from a marketplace. One of the most common challenges buyers face is determining the authenticity of reviews. Sometimes the manufacturers with the most reviews and product pictures are the ones that end up wasting your time and money. Due process looks like your best friend but acts as your worst enemy as it steals hours and hours of your time. 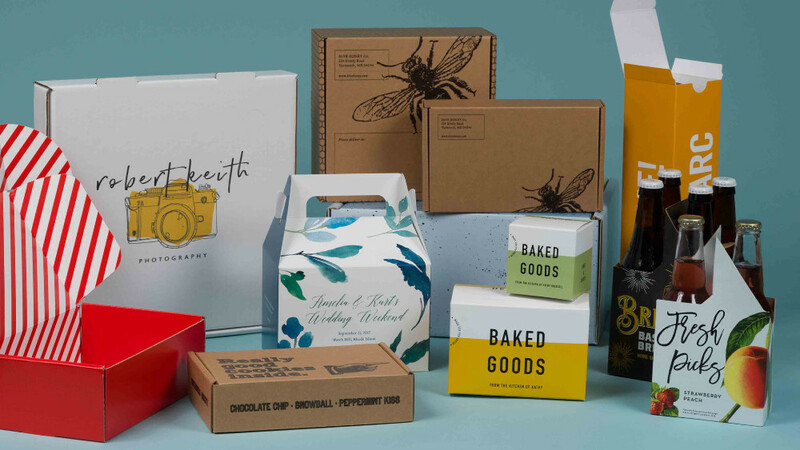 You can have greater control over your manufacturing process if you source locally, and there are many product sourcing marketplaces that connect buyers to local factories. However, in gaining more control you may suffer from a lower profit margin. There’s nothing like shaking the hand of a potential supplier, having a meaningful conversation and getting all your questions answered on the spot. There’s nothing like getting the chance to touch and feel the product examples of a supplier and measure up their quality of production. Unlike an online marketplace, a trade show, like the Canton Fair, is the one form of product sourcing that enables you to speak to industry suppliers face to face and find one to produce your product. Trade shows offer buyers the “in person” opportunity. Buyers have more control and visibility. Needless to say, the ball is in your court. You get to see the supplier and the products and let your gut do the talking. Of course you will still need to undergo due process research, but at least the start of your relationship with a supplier won’t feel like meeting someone on Tinder. Especially when it comes to building relationships with suppliers in China, meeting face to face helps strengthen that relationship and in turn strengthens your supply chain. 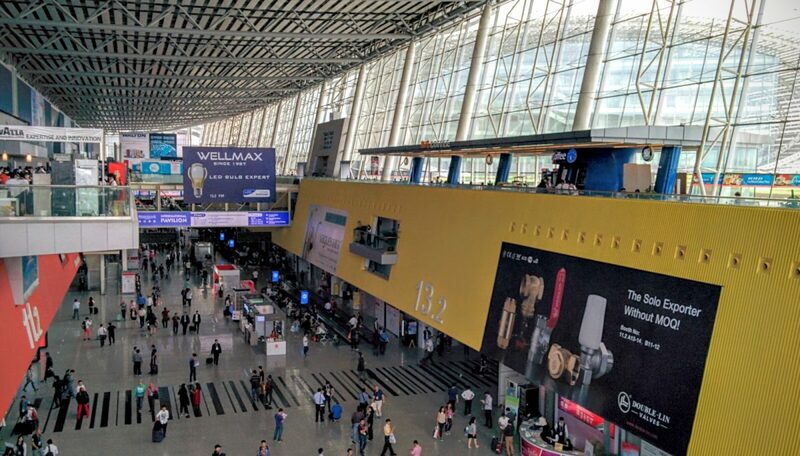 The Canton Fair is one of the most famous trade shows in China where over 25,000 exhibitors await buyers looking to create future partnerships. There are two sessions a year, one held in the spring and one in the fall. It’s a great exhibition for both small and large businesses to meet hundreds of different suppliers and find the best match for your product needs. Trade shows are also a great place to market your product and showcase your business as a thought leader in the industry. You’ll even have the opportunity to examine product trends and find out what your competition is doing. While having the chance to meet potential suppliers in person is a great way to minimize product sourcing risks, there are other disadvantages to trade shows that can cause frustration during your search for a supplier. More money and time is what you sacrifice to find your supplier at a trade show. In order to get to the trade show you have to go through a long registration process and apply for a visa. Once you get to the show you’ll talk to so many suppliers you won’t know what to do with all your options. That’s even if you’re able to talk to them (language barrier). To make the most of your trade show experience, preparation is key. Sourcify attends the Canton Fair annually, so we’ve written a guide to help you be successful. The benefit of attending a trade show overseas is the opportunity to connect with suppliers that aren’t already working with so many other US businesses. If you’re looking for a long-term supplier, a trade show is a great place to set the foundation for a solid relationship with a supplier. The “middlemen” describes sourcing agents and trading companies. These operations work between the buyers and their manufacturers. Many businesses that work with trading companies never know who is manufacturing their product. Like the sourcing marketplace, this method also leaves you with little control over your supply chain. Unlike the sourcing marketplace, you have their support through the manufacturing process. These guys are the bridge between you and your manufacturing process. Working with organized agents or trading companies increases the likelihood of experiencing seamless backend processes. You’ll benefit from their connections and expertise of the manufacturing industry. On the other hand, transferring manufacturing responsibilities to a third party can also be disadvantageous. The biggest problem buyers face working with middlemen is the first point: you may be overpaying for production. If you don’t work directly with manufacturers, your production costs will be higher. In order to decide if this method is right for you, you must consider whether your margins are high enough to cover the extra incurred cost from working with a middleman. If you can pay the costs and still maintain a high profit margin, it may be worth it to let another company handle the production details. This way you can focus on the front end of your business. At the end of the day, this method of product sourcing doesn’t give you the opportunity to form a relationship with a manufacturer. If you’re thinking long-term, it’s better to work directly with a manufacturer. As the years pass you’ll develop a strong relationship and become a priority client while all the time having control over your backend. Advancing technology has paved the way for the fourth sourcing method: online sourcing platforms. These platforms are continuing to grow in number but it’s challenging to find ones that have both strong relationships with quality manufacturers and offer streamlined services through their platform. If you are fortunate to find one of these innovative platforms, you’ll experience a number of advantages that aren’t attainable from any of the previous sourcing methods. One of the hardest parts for businesses looking to source abroad is the due process. The research requires you to check off a long laundry list of to-dos before you can feel confident about who you’re working with. But unlike completing a real laundry list, this laundry list will hit you with tons of timely hurdles. The due process can take months if done correctly and cost you big bucks if not completed thoroughly and carefully. By working with an online platform like Sourcify, you automatically get connected with pre vetted factories, meaning one big task is already managed. The second huge advantage is the costs you’ll save manufacturing from a direct source. By eliminating the middlemen and getting connected to the overseas manufacturers directly, you don’t have to pay more for production. You also get the benefit of developing a relationship with your manufacturer which will be valuable as the business continues to grow over the years. As opposed to a product sourcing marketplace, an online platform makes the production process visible to you so you don’t have to wonder or worry about the backend of your business. The downsides to an online platform are inherent: all your business happens online. You don’t get the benefits of meeting your manufacturer face to face or seeing/touching their product examples in person like you would at a trade show. A little more trust goes into play if you choose to begin product sourcing from an online platform. That being said, you won’t have to worry about scams and you’ll have the support and service from the platform during each phase of the manufacturing process. This is the first question you should ask a potential manufacturer. Every manufacturer has a minimum order quantity (MOQ) for every product because it ensures their profit on each production run. If suppliers produce fewer than the MOQ required, they may not be able to cover the cost of production, let alone make a profit. The upside of an MOQ for buyers is that the per unit cost is smaller when products are produced in bulk. There’s a downside if you’re a smaller business or company with little spending capital. 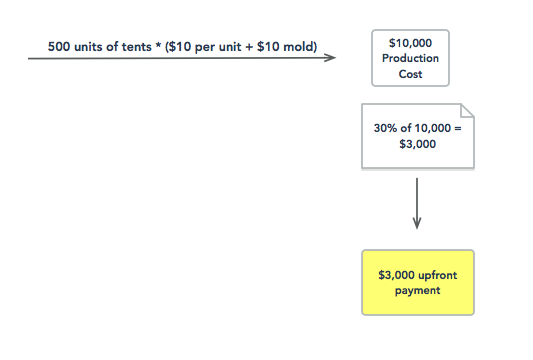 If the per unit product cost is $5 and the MOQ is 10,000 units, the upfront production run cost of $50k will be hard or even impossible to meet. As the buyer you need to match the MOQ to your production budget (the number of units you need manufactured). This is calculated from forecasted demand and inventory capacity. So like the supplier will try to stick to their MOQ, you should stick to your production budget as best you can. While it may be impossible to meet the MOQ of one manufacturer, keep looking! Finding a manufacturer that can produce your production budget can be frustrating but achievable. There are many manufacturers that produce custom products or have smaller MOQs. It’s better to spend time searching for a manufacturer that is capable of meeting your production demand because this will result in a better relationship between you and the supplier. Remember the MOQ is set so that the supplier is able to make a profit just like you need to make a profit. If the supplier is willing to negotiate the order quantity without sacrificing your product quality or resenting you, then consider this route. Before you start driving, it’s a good idea to know where you going. Otherwise you end up burning gas and daylight. The same is true for production. It’s important to have a clear idea of what your end product looks like. It’s even more important to have this clear idea in an easy-to-understand written or drawn layout to give your manufacturer when you start product sourcing. Design details like dimensions, materials, and colors are crucial for the production of your vision. The collection of these details are known as your product specifications. Any manufacturer will ask for your “product specs” before agreeing to a production run. The specs are like the roadmap for a car drive. Without the roadmap, you have little sense of direction which slows you down. You can clarify these specs through drawings, life-like renderings, or computer aided designs (CADs). Some methods are more appropriate depending on your product. To make renderings or drawings, you should use Adobe Illustrator or consult with a designer to help with the design. CADs are better if your product is unique or requires specific details, like hardware products. The CADs are specific engineered drawings of your product’s exact measurements. While you can create CADs using software like Autocad, it may be easier to collaborate with an engineer for the development of your CAD. You’ll benefit from their expertise, save time, and eliminate frustration. If you’re in the fashion industry, you can use tech packs to communicate the details of your design and clarify what’s included in the price. Techpacker is an organized and easy-to-navigate platform where you can create and manage your tech packs. Let’s say you’re looking to manufacture shirts. You can create drawing cards of your shirt designs and annotate the cards as you continue to improve the design. You can also connect cards so they all automatically update when a change is made to one of them. This form of specifications strengthens your relationship with the manufacturer by giving everyone the same expectation of the final product design. Product specs are a work in progress. Online platforms give you the benefit of allowing you to make changes as you continue to improve your product details. They are also an easy and fast way to point out changes to your manufacturer. Prodpad is another resource to help you manage your product by keeping all specifications, drawings, and files on one platform. A pre production mold optimizes your production run. Without a mold, you enter an uncertain production process. At the end of production you could get 500 units of a dysfunctional product that will now cost you thousands to fix and reproduce. The mold allows you to troubleshoot before sending your product through production. You can perfect the design and improve any weaknesses with the mold which is much easier, faster, and minimizes costs. It also allows for accelerated product manufacturing schedules so you get your product in the marketplace sooner. If you find a manufacturer that produces products in your category, odds are good that they possess a mold from past clients that can be the pilot for your production run. In this case, you’ll save tons of money. A quality mold can cost $10,000 or more. This is a cost you need to anticipate if you’re looking to produce a unique custom product. By now you have defined your production budget, clearly drawn or written your product specs, and developed a pre production mold. You’re ready to connect with a manufacturer and order a sample. Using one of the four product sourcing methods previously mentioned, find a manufacturer that meets your production run criteria. After sending your specs and mold, request a sample. Samples can take weeks depending on your product. If you over-communicated on your product specs, the sample from the manufacturer should meet your expectations on the first time. If you left some things open to interpretation on your specs, you may receive a disappointing sample. The sample sets the standard for future bulk orders from your manufacturer. If you’re unhappy with the first sample because the design is a little off, make tweaks and request a second. If you’re unhappy with the first sample because the quality is low, this is a red flag. You should move on to a different manufacturer to avoid any quality issues in future orders. Once you finalize the sample, it’s time to enter into the next phase: production run. Getting the green light for production feels good. All that time and effort preparing for production has finally paid off. You found a great manufacturer overseas to produce high quality samples. You’ve set yourself up for a smooth production run. You can practically see your product in the market now. This is the point where understanding lead times is critical to getting your product to the market as quickly as desired. The lead time is the time between the initiation and completion of a production process. In order to minimize your lead time, avoid factors that contribute to delays. Some factors are in your control like major holidays. Other factors like product development are a little out of your control. Sometimes unexpected issues can come up during production that cause the process to lag. This is why the pre production steps are so important. Clear specs and molds will help reduce the possibility for problems to occur. If you really want to feel in control you can hire a third party quality control company or agent to get real eyes and ears on your production run. The benefit of working with an online product sourcing platform like Sourcify is you get this quality control for free. Sourcify is constantly hands-on with its partner manufacturers and sends frequent updates to their buyers so they never feel left in the dark. After you’re through celebrating the completion of your production run, it’s time to think about the next thing: how you are going to get your products to the market. The best shipping method for product sourcing is dependent on your shipment order, location, and time requirements. There are several different freight forwarding options offering shipping solutions. A freight forwarder is the middleman between the shippers and the carriers. If you’re producing several thousand units of your product, a software driven approach will make it easier to manage your shipment. Flexport moves freight globally and you can control your supply chain on their software platform. 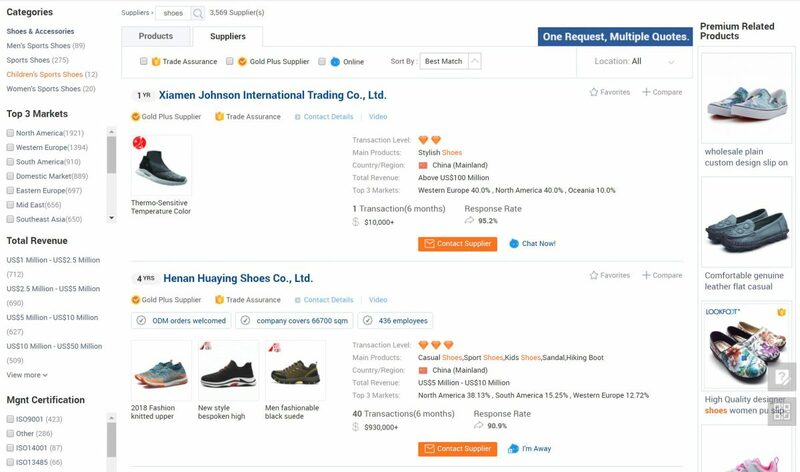 It’s one platform that manages everything: comparing rates, messaging suppliers, booking shipments, tracking shipments, and fulfilling invoices. Freightos is another software platform that offers an ideal solution for Amazon and eCommerce sellers. You can book and manage shipments on the platform, compare rates, and get instant quotes. When you’re shipping your order from overseas, you have to determine whether fast speed or low cost is more important. It takes more time ship your product via ocean but typically costs less compared to in the air. Whether you’re a small eCommerce company or a fast-growing one, you’ll save time automating fulfillment by working with a third-party logistics provider (3PL). A 3PL deals with outsourcing a part or all of a business’ distribution and fulfillment services. As your product gets sent to inventory, a 3PL deals with shipping that product to your end customer. Unlike a freight forwarder, a 3PL is a full-service provider. A 3PL offers additional services that a freight forwarder doesn’t. If you’re already outsourcing your manufacturing, you should consider partnering with an international fulfillment partner. Regardless of the location of the fulfillment partner, you need to think about the capacity of their fulfillment center, if they plan to grow and their integration ability. There are other things to consider when choosing a fulfillment partner since this is an important part of your supply chain! If your products don’t make it to your buyers, you have no business. Remember you don’t need to to be a large business to seek out a fulfillment partner. There’s a common misconception that only high growing companies need the help of a third party. If you’re fulfilling 10-20 orders today, you should be considering a 3PL fulfillment partner. Their support will allow you to focus on other parts of your business and leave you feeling confident in the organization and efficiency of your product sourcing. A duty tax is charged on all products shipped from outside your borders. A duty tax is tied to overseas manufacturing but you’ll still end up with a lower COGS despite the tax. Your duty cost is assessed by the total cost of your product order and the duty rate on your product. 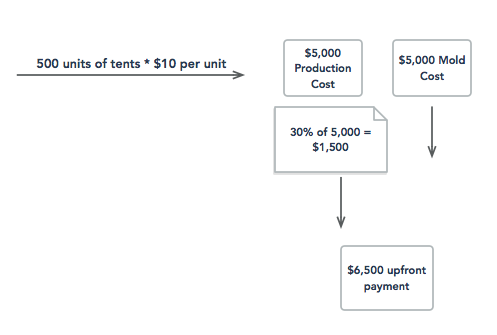 For example, if you manufactured 500 units of tents at $10 each from your manufacturer, your commercial invoice amount will be $5,000 (500*$10). Let’s say the duty rate on tents is 4%, your duty cost will be $200 (4%*$5,000). Some products don’t have a specific duty rate. Instead you pay an ad valorem duty on your imported items based on the total market value of your products. An ad valorem duty is more flexible because it allows an item to be levied at a price based upon its changing value. Since the duty is based on the price of your product, the duty will increase as your product price increases. Fluctuations in your product price is something to keep in mind during product sourcing. You can access a simply priced duty calculator using SimplyDuty so you can figure out your expected total cost of your product shipment. This software tool also offers duty rates and general tax rate information to help you remain aware of your industry taxes as they change. eCommerce levels the playing field for selling custom products. But it doesn’t reduce the challenges of product sourcing, manufacturing, and distribution. These stages of the supply chain are made easier through online sourcing platforms. 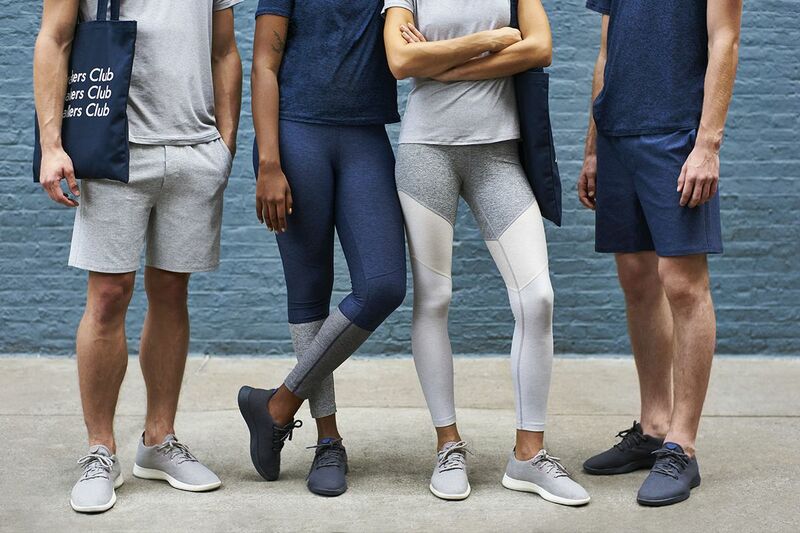 Platforms like Sourcify are reducing the time it takes to find a manufacturer and minimizing the hassles of production. What makes Sourcify unique is our software. It allows brands to remain up to date with every step of the product sourcing process and offers complete visibility into the creation of their product. Buyers are able to connect with their manufacturer, see the progress, and maintain an organized handle on the production part of their supply chain on one platform. No more excel spreadsheets or confusing email chains. Innovative solutions from small businesses drive the economy. With Sourcify facilitating reliable product sourcing and making it easier for smaller businesses to have control and scale, solutions can continue to flourish and benefit the market.